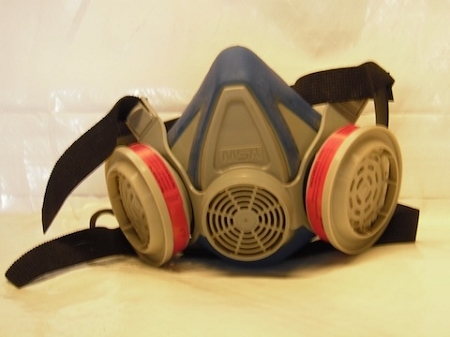 This respirator is the one we count on to keep mold spores, dust and other contaminates out of our lungs. This respirator is rated to protect against toxic dust so you know you are protected in the crawl space. The cartridges are replaceable and the mask can be washed with warm soapy water. The head band is adjustable to fit- one size fits all. Adult sizes only.